Bodegas Vega Sicilia is a Spanish winery located in the Ribera del Duero Denominacion de Origen in Valladolid, Castilla y León (North of Spain). 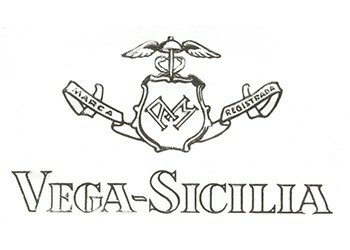 The "Vega Sicilia" wine is well known as one of the most notable Spanish wines. The winery was founded in 1864 by Don Eloy Lecanda y Chaves, who planted various grapes from the Bordeaux wine region of France, including Cabernet Sauvignon and Merlot, which are still being used in the wines today. When Don Eloy Lecanda y Chaves first planted the vineyards of Vega Sicilia he included Cabernet Sauvignon, Merlot, Tempranillo and Malbec in his plantings. The extensive use of Bordeaux varieties was unusual in the Ribera del Duero at the time and though future plantings have focused more on Tempranillo, nearly 40% of Vega Sicilia's vineyards are still planted with traditional Bordeaux varieties including nearly 25% planted to Cabernet Sauvignon alone.